The City of Fremantle is here to work with you through the successful operation of your business. Whether you need advice, to enhance your skills or connect with others we are here to help. The City of Fremantle is piloting a Capacity Building Program for local businesses until June 30, 2019. This will provide businesses with access to tailored one-on-one training, support or mentoring to assist their business operations in a tough economic climate. Initially this program will be open to up to 40 retail or hospitality, bricks and mortar small businesses based in the City of Fremantle. The City of Fremantle will subsidise 80% of the cost of business capacity services from external providers. After a competitive Request for Quotes process, Business Foundations were selected to service the General Business Advisory and Business Performance Assessment streams and Freo Now were selected to provide the Sales and Promotion, and Financial Management streams. At the end of the pilot period, the City of Fremantle will consider extending and broadening the program based on the feedback of businesses and service providers. Note that places in the program will be awarded on a "first come, first served" basis for all eligible businesses. The Business HealthCheck is an objective business diagnostic tool, developed, proven and backed-up by the knowledge and experience of Business Foundatíons Business Advisory team and other leading industry consultants and organisations. It covers both qualitative and quantitative aspects of the business and is used to review a business’ current and historical performance. Business owners will receive an independent assessment of their strengths and weaknesses across 9 different areas, and receive a comprehensive, yet easy-to-understand report, inclusive of recommendations outlining the steps required to improve the efficiency and value of their businesses. For information about the program, businesses can contact the City's Economic Development team at edm@fremantle.wa.gov.au. To find out more about Business Foundations' programs, businesses can email admin@businessfoundations.com.au or visit their website. To find out more about Freo Now's programs, businesses can email marketing@freonow.com.au or visit their website. As part of the City of Fremantle's Business Capacity Building program, the Fremantle Chamber of Commerce is hosting a series of free forums for the local business community. Forums will be podcasted and made available on the City's website. Business Foundations is a non-profit organisation delivering business assistance to small to medium businesses throughout Western Australia. If you are a Western Australian business you are eligible for government-funded support across a wide range of areas, including one-to-one professional advice. Business Foundations run regular training and workshops on all matters of business, to help improve the performance of your business. For the latest workshop click here. Fremantle Chamber of Commerce champions policies and strategies that improve the business environment in Fremantle, enhance community prosperity and develop a sustainable mix of business and lifestyle opportunities for Fremantle’s future. The Chamber acts as an advocate for the business community, a conduit for information and a promoter of Fremantle’s position in the regional landscape. 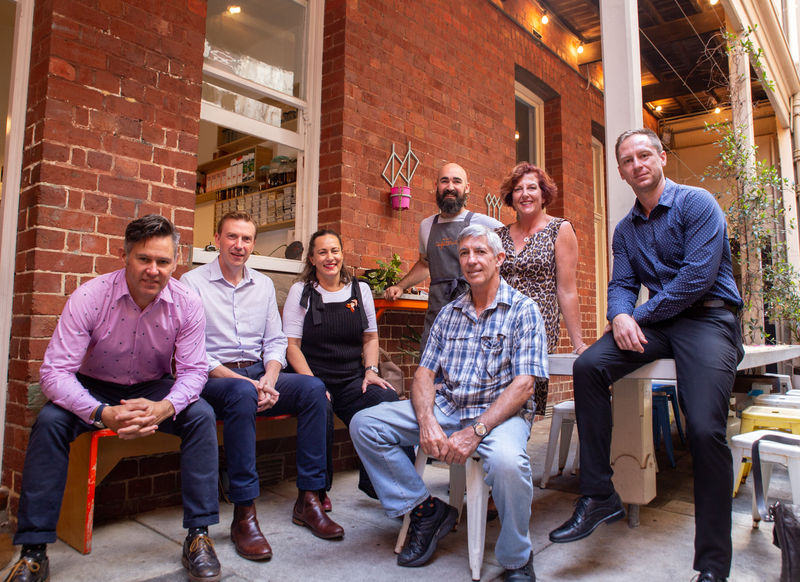 Freo Now is an independent, business-led organisation that provides business coaching, works to drive customers into local businesses and advocates for Fremantle small business. Fremantle businesses can become members to access Freo Now's services and programs.